The man who trusts in the Lord, whose confidence indeed is the Lord, is blessed. He will be like a tree planted by water: it sends its roots toward a stream, it doesn’t fear when heat comes, and its foliage remains green, it will not worry in a year of drought or cease producing fruit. 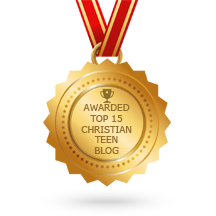 This entry was posted in A CLICK A BLESSING TODAY, CHRISTIAN LIFE AND THE WORD, CHRISTIAN TAGALOG BLOGS, CHRISTIAN TEENS BLOGS, CHRISTIAN URDU BLOGS, SHARING STRUGGLES , Shaping Spiritual Solutions! and tagged drought, God, Jeremiah, Leaf, Lord, worry. Bookmark the permalink. Praise God for His undertaking for you in and following surgery. He alone is worthy of our confidence. We trust Him. meetingintheclouds, I humbly thank you and the CB family for all your prayers. It is by the Grace of God that I have been able to trust the Lord through this surgerie and recovery process. He is worthy of our confidence and praise and not only do we trust Him , He’s our only hope. How wonderful it is to believe in our Lord God who promises to supply all our needs even to when our hair grows gray. All we need to do is to dig deep in His Word which are His promises to us, and grow like a tree planted by the waters . His promises are with conditions,which if we in simple faith trust and obey, will bear fruit in our lives. Praise God. Yes, we can have confidence in Jesus Christ who opened the way to God our Father.